CHENNAI: Learning nursery rhymes and reciting them along with our friends is a warm fun memory from childhood for all. With this generation’s kids taking to digital games over traditional books, it is only natural they prefer to learn rhymes through the digital media. That’s where ChuChu TV channel on YouTube has the upper hand! 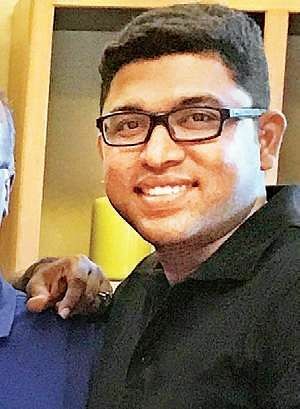 Started by five young fathers in Chennai in 2013, ChuChu TV has over 10 million subscribers with just 154 videos and got a Diamond Play Button from YouTube — only three other channels in India have received so far! It began when Vinoth Chandar felt that the existing rhymes for kids on YouTube were not the best for his daughter Harshita. “So, I recorded a video of Harshita singing ‘Chubby cheeks’, but I didn’t feel like uploading it on the net — she was barely three!” Vinoth says. An idea struck soon, and he made an animation character based on her, with chubby cheeks, different hairstyles and called it ChuChu. “That was her nickname,” he smiles. When it was uploaded to YouTube, it garnered 3 lakh views in just two weeks! “There were viewers from many countries — UK, Philippines, Vietnam, etc. We didn’t expect it at all!” he laughs. Vinoth then got together with his best friends — Krishnan, Subbiramanian, Ajith and Suresh and applied their experience in animation, digital marketing and original music compositions to make a second video ‘Twinkle Twinkle Little Star’, which got even more hits and garnered 5,000 subscribers with just two videos. “A partner manager of YouTube got in touch with us, and encouraged us to do more videos as our content was going viral!” Vinoth recalls. And that did it! 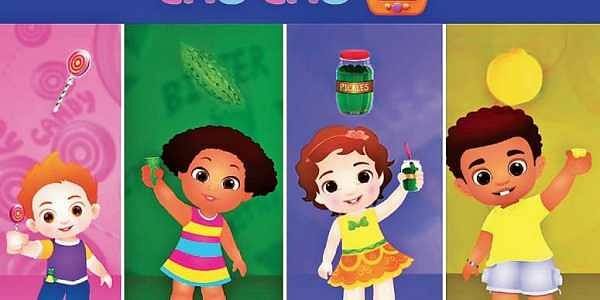 ChuChu TV Studios was set up, and now they have around eight channels under ChuChu TV Network in various categories of rhymes and languages, churning out 15 videos a month. The videos put a positive spin to conventional rhymes. For example, the story of Jack and Jill doesn’t just end with them tumbling down the hill with a spilt water bucket. It goes on with the siblings interacting with nature at the bottom of the hill, trying a second time to get up the hill and finally succeeding in taking home a bucket of water. It ends with a note that ‘Where there is a will, there is a way’! Likewise, there are also videos for learning about animals in ‘Going to the Forest’, about fruits and vegetables, and original and new bedtime stories! “This channel has been a life-saver to me. Irrespective of my 8-month old’s mood, these videos bring a cheer to his face!” says one of the subscribers. With plans for further international expansion and merchandising, what makes Chu-Chu stand out amid other channels? “Our kids are the final approval committee — they give suggestions, and reactions to the videos before we upload them!” Vinoth laughs. ChuChu TV is the third largest YouTube channel in India with its online audience larger than that of All India Bakchod (AIB), Viral Fever Videos or Comedy Nights, Colors TV and Star Plus. ● 37th place in the list of Top 100 Most Subscribed YouTube Channels Worldwide.